The Armenian Genocide that began in World War I, during the drive to transform the plural Ottoman Empire into a monoethnic Turkey, removed a people from its homeland and erased most evidence of their 3000-year-old material and spiritual culture. For the rest of this century, changing world events, calculated silence, and active suppression of memory have overshadowed the initial global outrage and have threatened to make this calamity "the forgotten genocide" of world history. 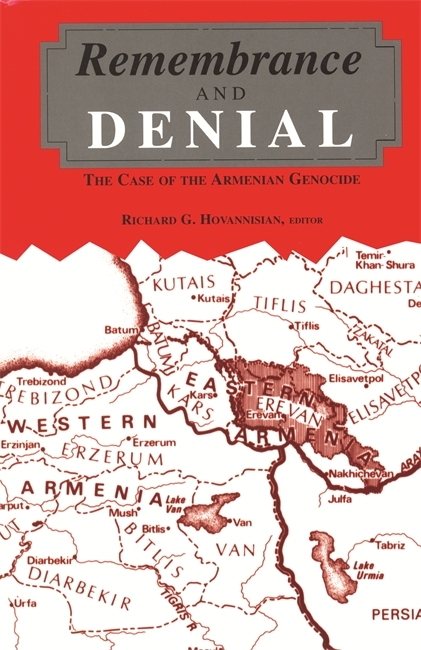 Fourteen leading scholars here examine the Armenian Genocide from a variety of perspectives to refute those efforts and show how remembrance and denial have shaped perceptions of the event. Many of the chapters draw on archival records and court proceedings to review the precursors and process of the genocide, examine German complicity, and share the responses of victims, perpetrators, and bystanders. Richard Hovannisian is a professor of Armenian and Near Eastern History and holder of the Armenian Educational Foundation Chair in Modern Armenian History at the University of California, Los Angeles.